Grandparents found this chair on side of road back in the 60s I believe. 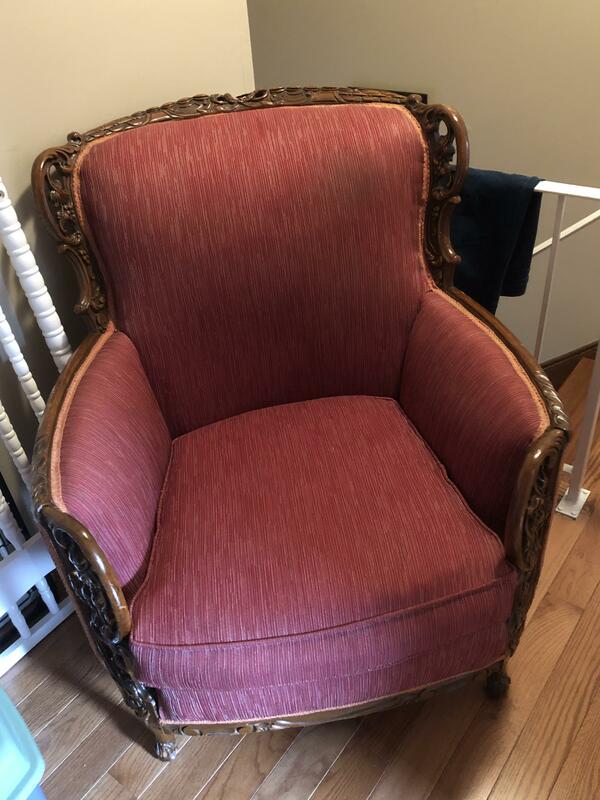 Grandmother had it professionally reupholstered Don’t know much about it except that it weighs a lot. There ere are no labels. Some of the wood design on top the of the chair seems to have broken off.